so i’ve been looking for a military jacket for the longest time, but had no luck at the thrift stores so far. 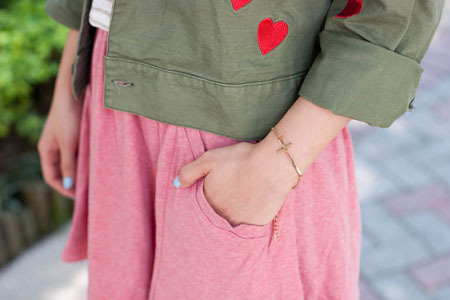 then came a day i spotted this military jacket with cute embroidered hearts on CHOiES. 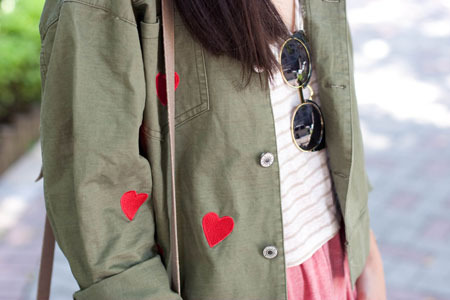 i like how the hearts add an element of surprise and whimsical-ness to the otherwise stiff looking military jacket. 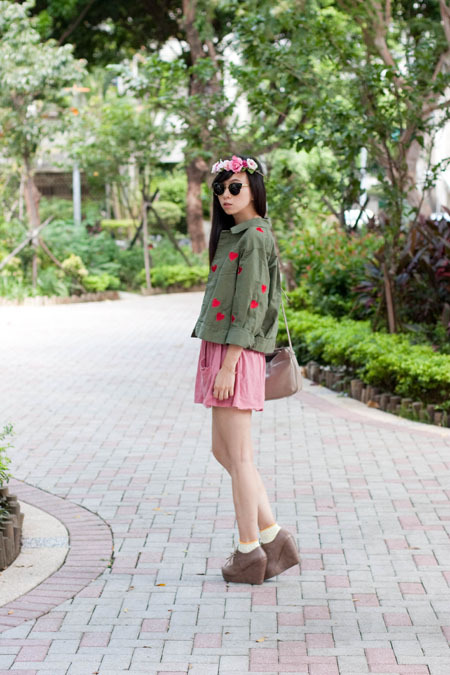 then to make this look a little more feminine i wore my pink Zara skirt, and added my handmade flower crown =) i can’t wait till the weather warms up so i can wear this military jacket with some high-waisted jeans or over a sweater!